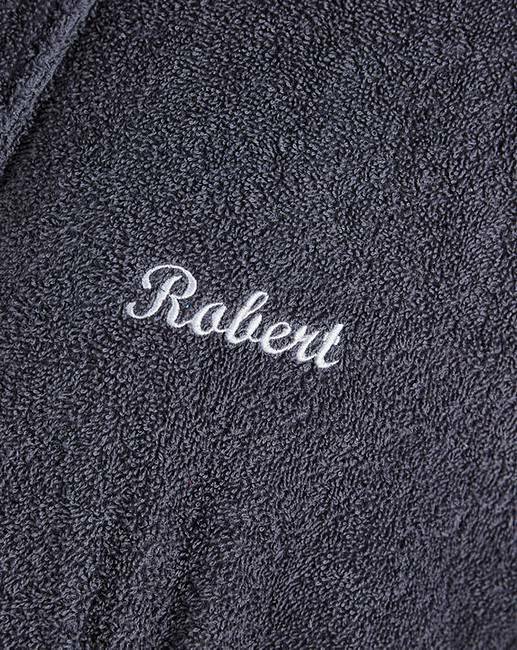 Personalised Mens Towel Robe is rated 5.0 out of 5 by 11. Personalise with a name up to 11 letters or 3 initials. Rated 5 out of 5 by Mon H from Great looks smart Robe fits well with good overlap so no worries as to whats showing. Warm and comfortable to wear. Rated 5 out of 5 by Wallymac from Lovley quality fabric Got it for gift for husband had if monogrammed, fabulous quality for the price. 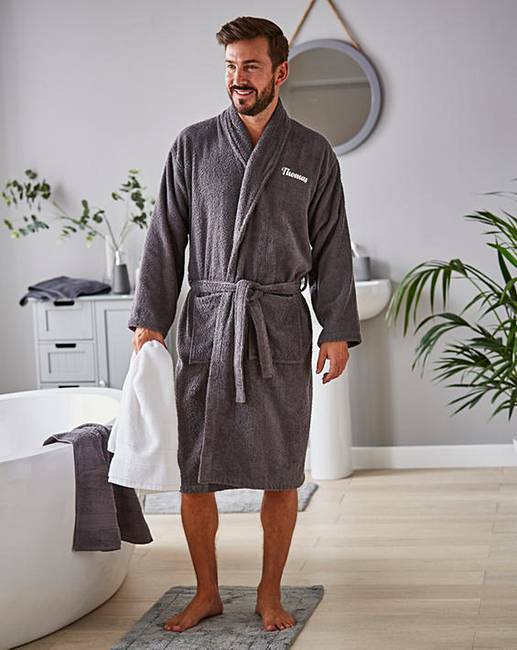 Rated 5 out of 5 by Maria12 from Men’s robe I got this for my husbands birthday and he was very happy with it. Rated 5 out of 5 by Ali96 from Super soft and great quality! 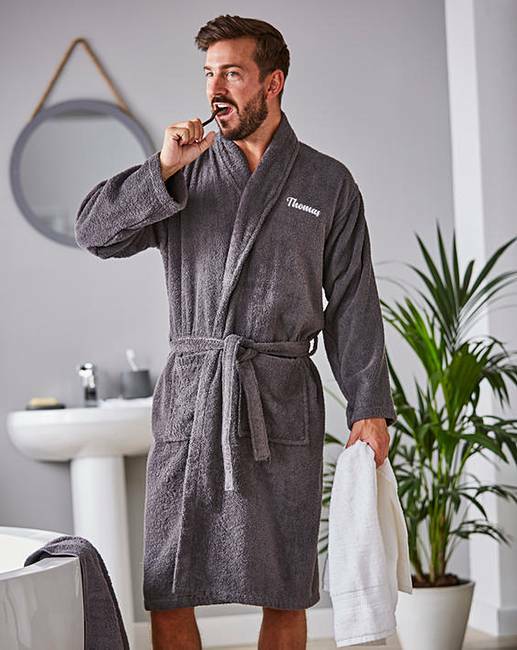 I bought this for my boyfriend for Christmas so he can use it straight away when he gets out of the shower. It’s arrived and it’s so so soft and the material is great quality - really happy with it!